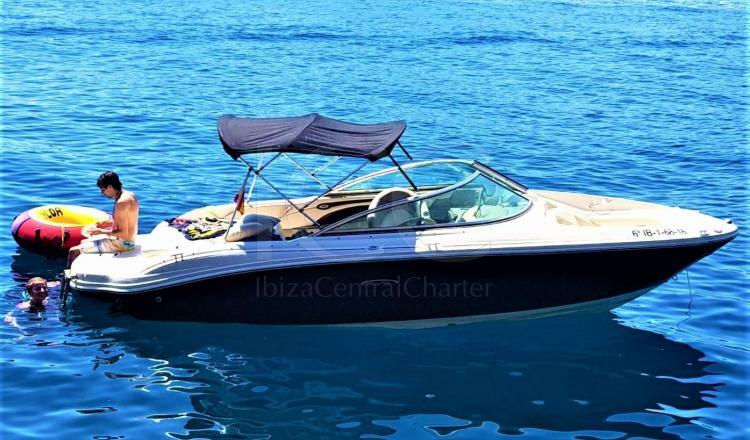 Enjoy a day of charter in Ibiza and Formentera in this boat with capacity for a group of up to 6 people. 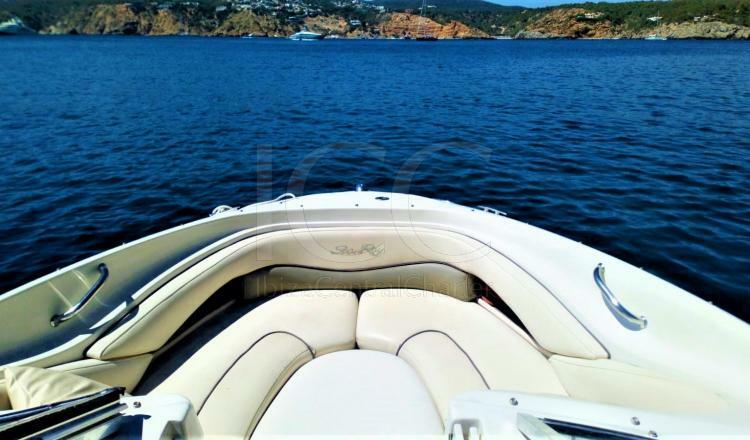 The Sea Ray 200 is a boat of 6 meters of length that is perfect to discover the islands of Ibiza and Formentera from a nautical perspective. 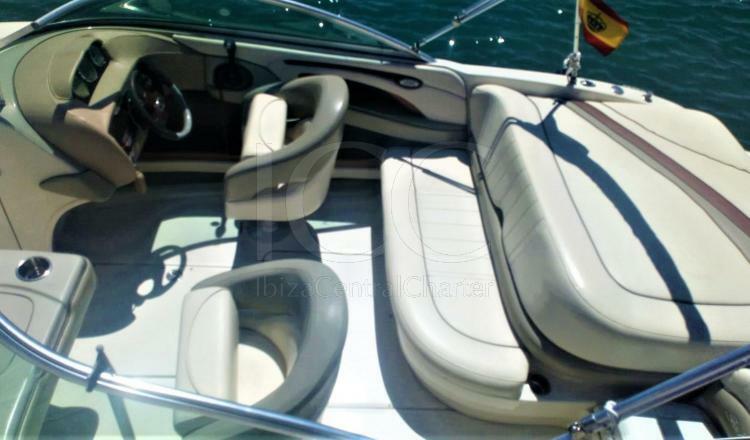 It has a design that allows amplitude and a comfortable circulation on board despite its small size. 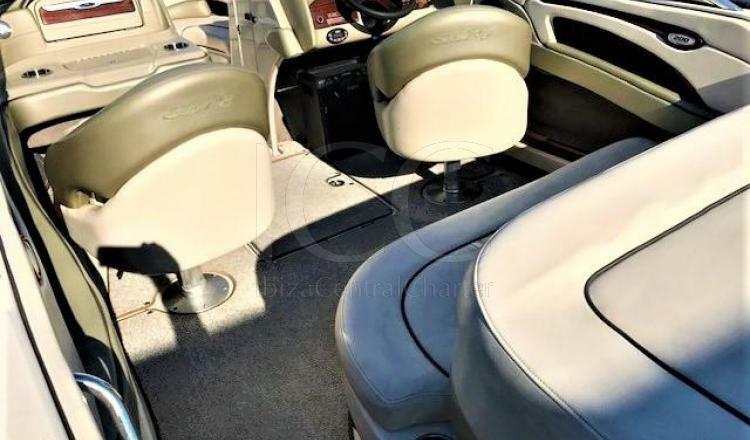 FLYING DUTCHMAN has areas to rest to sunbathe: a spectacular stern solarium complemented by comfortable bow seats convertible into a second solarium. 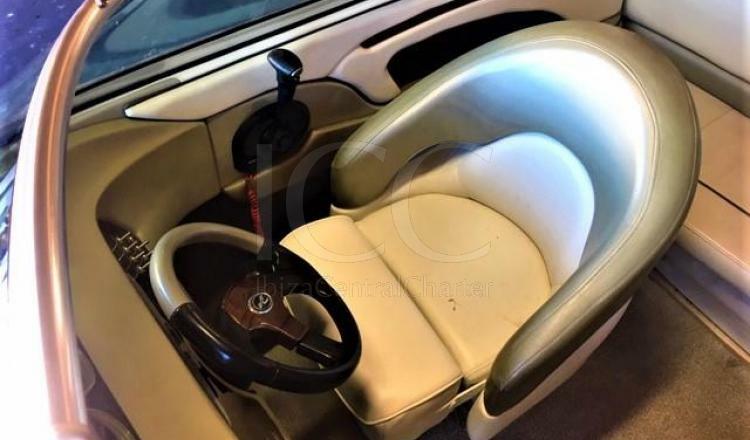 In the center of the cockpit is the command area with a seat for the captain adjustable in height to increase your comfort. Meanwhile, the rest of the passengers can rest on the aft padded sofa. The bathing platform incorporates a staircase that facilitates the entrance to the turquoise waters of the Mediterranean Sea. 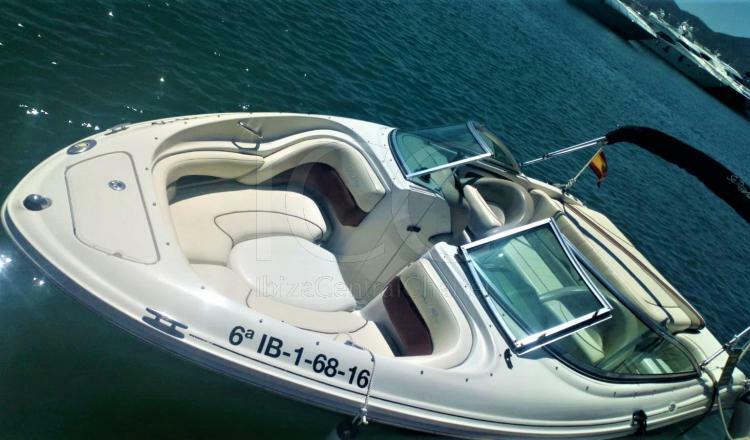 In addition, the boat is equipped with sun awning and stereo to make the experience on board more comfortable.